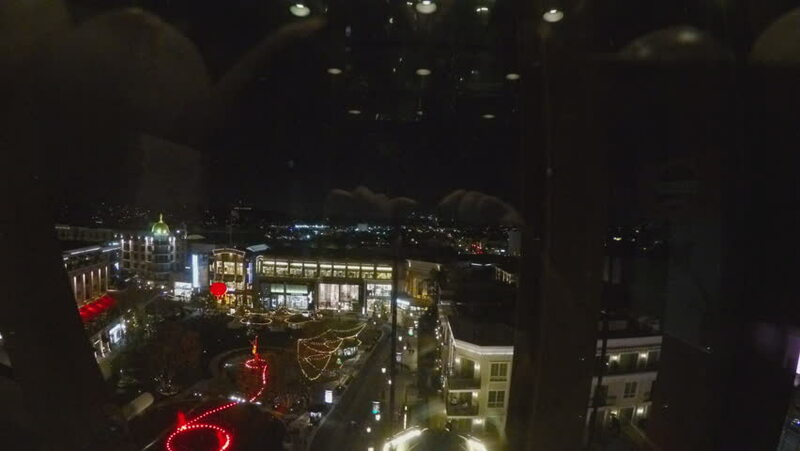 GLENDALE, CA/USA: February 21, 2016- A point of view shot riding down on a glass elevator at night. Clip reveals a view of the colorful outdoor mall shopping plaza The Americana At Brand. 4k00:10An extreme wide shot of the fireworks during New year's eve. Small boats are seen in the harbour. 4k00:22PENANG, MALAYSIA - NOVEMBER 2017 : Aerial view of THE TOP, Komtar Complex, Georgetown, Malaysia from a drone.